At Portaboards, we have a mission to make outdoor advertising faster, easier, and more effective for businesses and organizations. We are able to bring you the best product for the price by developing, manufacturing, and supplying all of our innovative mobile outdoor advertising products. Take your brand on-the-go and reach your customers wherever they are with the help of Portaboards. We can provide you with the portable billboards you need to advertise your business, product, event, or anything else! 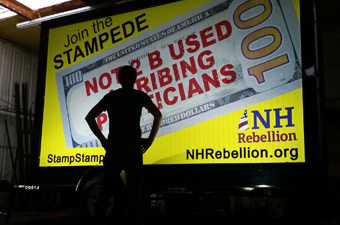 Be sure to learn more about our mobile billboards and contact us to learn more! 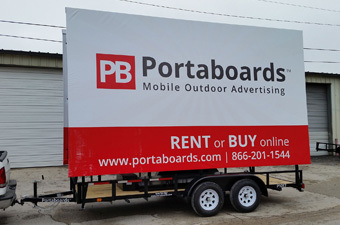 Starting as an idea to produce a better way of mobile outdoor advertising in 2011, Portaboards has since expanded both its coverage area and services to provide you with exactly what you need — easy to use mobile billboard advertising you can love. The Portaboards team is committed to the highest levels of customer service and support, not only to our clients but to the community as well through our work with local non-profits. We care about what we do and the community that surrounds us! 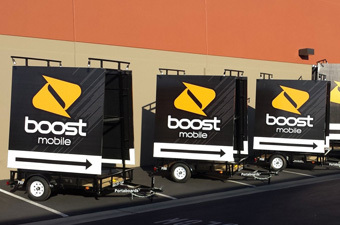 You should choose Portaboards as your source of mobile outdoor advertising because our products are a durable, affordable, and effective way to deliver a message and attain the awareness and sales needed to be successful.